When you or someone you care about suffers an injury during – or as the result of – medical treatment, the question of whether the injury gives rise to a legal claim can be a difficult one. At Burg Simpson, we are here to help you find the answer. If you believe you have been injured as a result of a healthcare provider’s general medical negligence, contact the Colorado medical lawsuit attorneys at Burg Simpson to discuss your case. We have the expertise and the resources to help. Call 303-792-5595 or fill out our FREE Case Evaluation Form here right now for your free, no obligation consultation. What are some Medication Errors? More than half of all medication errors result in serious illness or death. Medication errors injure about 1.25 million Americans annually. Medication errors are classified as any “preventable events that may cause or lead to inappropriate medication use or patient harm while the medication is in the control of the health care professional, patient, or consumer.” Medication errors are also referred to as “adverse drug events,” which take the lives of roughly 7,000 patients a year while sending nearly 700,000 of them to the emergency room. Generally speaking, medication mistakes can take place anywhere along the distribution process, according to the U.S. Food and Drug Administration, whether it is in the prescription, dispensing, or monitoring. Administration of the wrong medication. Administration to the wrong patient. Medication inappropriate for patient based on medical history. Multiple prescriptions given in inappropriate combinations. Emergency rooms administering pain medication to intoxicated patients. Administration of experimental drugs without patient consent. The risk of ADEs affects nearly everyone. About 80 percent of Americans take prescription medications, over-the-counter medications, or supplements on a daily basis. More than a third of Americans take at least five different medications regularly. It’s no wonder the rate of medication errors have doubled since 2000. It is easy to assume consumers are more likely to make mistakes taking medications at home, expecting hospitals and their staff to exhibit a professional standard of care. The reality is that hospitalized patients can expect to experience at least one medication error at least once a day. According to the Institute of Medicine, at least 400,000 preventable drug-related injuries occur in hospitals each year. About twice as many occur in long-term care settings. Overall, medication errors cause 7,000 deaths annually. If you have lost a loved one because of a medication error, call a Denver medical injury lawyer at Burg Simpson as soon as possible at 303-792-5595 to get the help you need. Poor labeling and packaging of medications. Failure to fully review patient’s medical records for drug allergies. Failure to fully review patient’s medical records for other prescriptions. Failure to adjust doses according to health changes in patient. Inadequate warnings provided by drug manufacturers. Medical professionals also blame other factors, such as job stress, or insufficient product data, or training. If any of these factors contributed to a medication error that has caused you or a loved one harm, call a Colorado medical injury lawyer today at 303-792-5595 for a free consultation. Delayed recovery and/or extended hospital stay. Unexpected temporary mental or physical impairment. If you have suffered any of these adverse reactions because of an improperly prescribed or administered mediation, call one of the Denver medical malpractice attorneys at Burg Simpson right away for a no obligation consultation. Fill out a FREE CASE EVALUATION FORM now. Who are the Responsible Parties? Current and future loss of income. If you have been injured because of a medication error, call a Colorado medical malpractice lawyer to get the compensation you deserve. 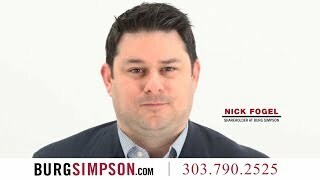 Call Burg Simpson directly at 303-792-5595. Sometimes a piece of medical equipment, such as a tube, sponge, or surgical needle is unintentionally left behind in the patient’s body after surgery. This happens roughly 1,500 times a year, despite the most stringent protocols that hospitals put in place. Soft goods, such as towels or sponges. Small miscellaneous items, such as device components or fragments, stapler components, and catheters. When a surgeon or medical professional leaves these surgical items behind, the patient is at great risk for infection, illness, organ damage, and even death. Although medical professionals usually take great pains to eliminate the risk of retained foreign bodies, this safety measure can sometimes go overlooked. The failure to remove a surgical instrument or any other object after surgery is a serious event. The patient will almost always have to undergo another invasive surgery, with its own additional set of possible complications, in order to remove the retained foreign body. If you have suffered through this horrifying medical mistake, you need to get help as soon as possible. 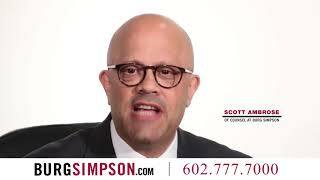 Call the Colorado medical malpractice attorneys at Burg Simpson today. A proper diagnosis is fundamental to the practice of medicine. Researchers at Johns Hopkins studied 25 years of malpractice claims and found that diagnostic errors accounted for most claims and make up the worst injuries to patients. The study revealed that diagnostic errors might be the biggest patient safety problem in the United States. Most troublingly, diagnostic problems are often unrecognized, downplayed, or outright ignored. Many medical conditions are manageable if they are diagnosed properly and treated promptly. Medical professionals, however, will sometimes either miss or give the wrong diagnosis, and this unnecessary delay can cause severe injury to someone with a serious medical condition. A delayed diagnosis can have a direct impact on a patient’s recovery and survival. The consequences can range from a dramatic reduction in life expectancy to paralysis to death. If a delayed diagnosis has prevented you from getting proper treatment and caused you harm, call the Denver medical malpractice attorneys at Burg Simpson right away at 303-792-5595. If you or a loved one has been harmed by general medical negligence, call us as soon as possible to schedule a no-cost, no-obligation consultation. 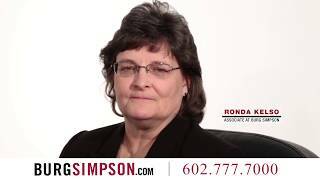 We will go over the facts of your case and work with you to achieve the best possible resolution. Call the Colorado medical injury attorneys at 303-792-5595 or fill out our Free Case Evaluation Form now.